Happy October!! And Happy Monday too! Can you believe we're here already?!! Today we're talking muffins. Perfectly seasonal ones. Muffins that scream "Fall is here!!" 'Cause that's what I think of with every bite of these wonderful Apple Oatmeal Breakfast Muffins. If you're looking for something new, easy, nutritious and absolutely delicious to start off these nippy mornings, have I got the muffin for you!! Muffins are one of my favorite foods and I spend far too many brain cells thinking about them. So much so, that I've come up with a few Muffin Truths: 1) Muffins are fun--what's better than your own little individual portion?!! 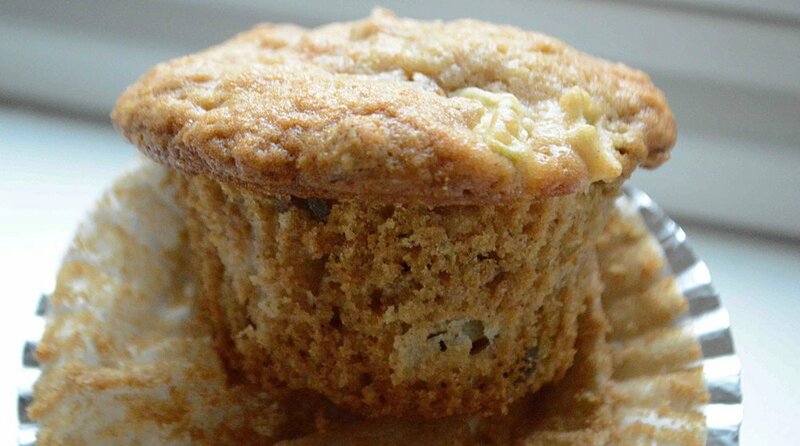 2) There are two kinds of muffins in our muffin-eating world. 3) One of those two kinds masquerade as little cakes but allow us to pretend we're not eating cake for breakfast simply because we call them "muffins". 4) The other kinds of muffins (aka the healthy ones) are suitable for breakfast consumption but generally taste like you're eating the smell of a health food store (like the recent flax seed/wheat bran batch I had to toss) and where's the fun in that? 5) Why can't there be a healthy but truly yummy tasting muffin that will make everyone just as happy to eat? 6) When will these inane questions stop?!! The answer is NOW because I have found a healthy but truly tasty muffin that definitely works for breakfast in terms of the nutrition but also works for your tastebuds in terms of the yumminess!! Chock full of good things like toasted oats, apples, raisins and cinnamon, these would be welcome at any time of the year but are particularly perfect right now. Try them and make your mornings muffin-filled but-guilt free!! 2. Place the oats on a baking sheet and bake them for about 5-7 minutes, stirring them every few minutes, to allow them to toast and get golden brown. Set aside. 3. In a large bowl, whisk together the oats, 1 1/2 cups flour. baking powder and soda, cinnamon and salt. Add in the sugar, melted and cooled butter, milk, egg and vanilla and use a large spoon to combine. In a separate small bowl, toss the apple and raisins with the remaining 2 tablespoons flour so that all the pieces get well coated and stir the mixture gently into the batter. 4. Distribute the batter evenly among the muffin cups and bake for 25-30 minutes, until a toothpick inserted into the center of a muffin comes out clean and the muffins are golden brown. Let cool on a rack. 5. You can store leftovers, well-wrapped, at room temperature for about 4 days. Reheat in the oven to refresh them. Note: Recipe adapted from Small Victories by Julia Turshen. I omitted the teaspoon of ginger and pinch of fresh cloves because we're not big fans of those.